You have to hand it to Samsung, they are nothing if not persistent in sticking with their AI assistant named Bixby. They even continue to have dedicated physical buttons on the new Samsung Galaxy S10 devices like the S10e I recently reviewed. Now there’s an easy way to take back the button and use it for an actually useful Assistant – Google’s. Anker, known for their power banks, chargers, and more, has released two new exciting power banks. The PowerCore Fusion 5000 is a 5,000 mAh power bank that is USB and USB-C compatible and doubles as a wall charger. The Powerhouse 200 is a 200Wh/57,600 mAh portable generator that boasts a 110V AC outlet, USB-C, USB, and a 12V car outlet. 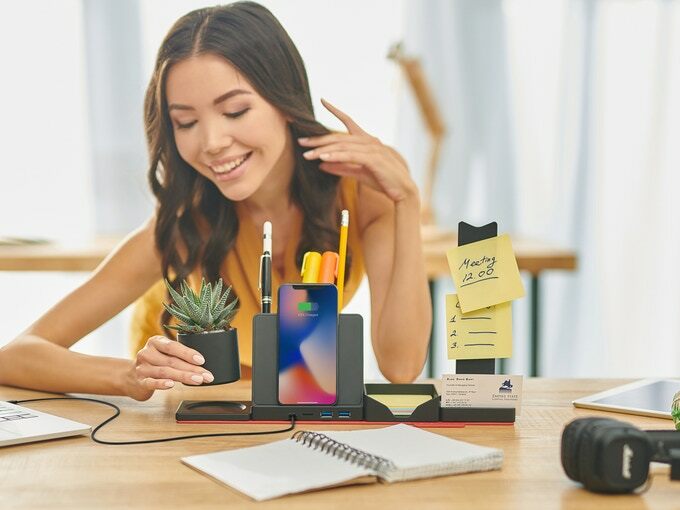 iOttie, creators of best-selling smartphone mounts and a brand I’ve trusted for years, just announced their new iTap 2 Wireless Series of wireless charging mounts. The new iOttie iTap 2 Wireless Series uses strong magnets to keep your phone secure while built-in Qi charging keeps your phone’s battery juiced. If you have an Android phone, you’ll generally know when fast charging is occurring because an on-screen message lets you know. On the iPhone, the only way to tell that fast wireless charging is occurring is to observe how quickly your phone charges during a time period (no, really). Apple fast wireless charging happens at 7.5W and Samsung’s happens at 10W; the Just Mobile AluBase Wireless can handle both. You can change your mindset and your workflow in numerous ways to improve productivity. Sometimes, though, having the right gear makes the biggest difference. A wireless charger is an excellent example; they’re also called “Qi chargers” because Qi is the current wireless standard. I have two gear pouches, a small one for every day and a large one for travel. Each carries an external battery and a wall adapter for charging. Thanks to the [FUSE]chicken Universal All-In-One Travel Charger, I can swap the two gadgets for a single one, as this is a wall adapter and a Qi charging battery. We’ve reviewed products from 1More before, and we’ve been impressed by the quality of their audio products, mostly because of the Dual-Dynamic drivers that many of their headphones have. When I received the 1More Stylish and the 1More DualDriver BT ANC headphones, I wondered about the differences between the two and which would be my new favorite neckband-style headphones. One thing we can always count on is creative charging accessories from Oneadaptr that make keeping our devices powered-up a cinch. Their latest travel chargers, the Oneadaptr OneWorld PD and OneWorld Duo are made work in over 150 countries. With multiple fully grounded charging solutions built-in, they are the perfect gift for any frequent traveler. If you’re going to be away from a charger for a time, and you need your iPhone to keep up and not leave you stranded, using the new mophie juice pack access is a great way to accomplish just that.